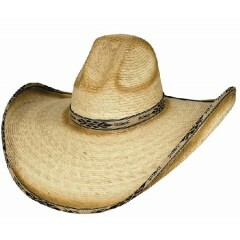 Need a party hat or a big brim cowboy hat for sun protection at the beach or anytime in the sun? 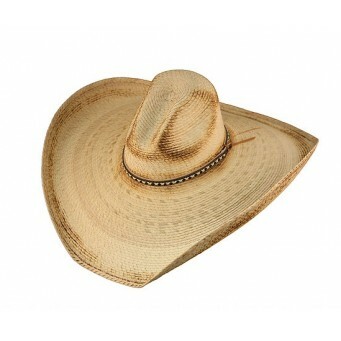 This Hat Biz cowboy hat can be both! Our palm straw cowboy hat has a 3" front 5.5" back gus crown and 7" brim that will certainly keep the sun out of your eyes. If you would like a slightly smaller brim please look at our Bullhide 6.5" brim Summerhaven cowboy hat.